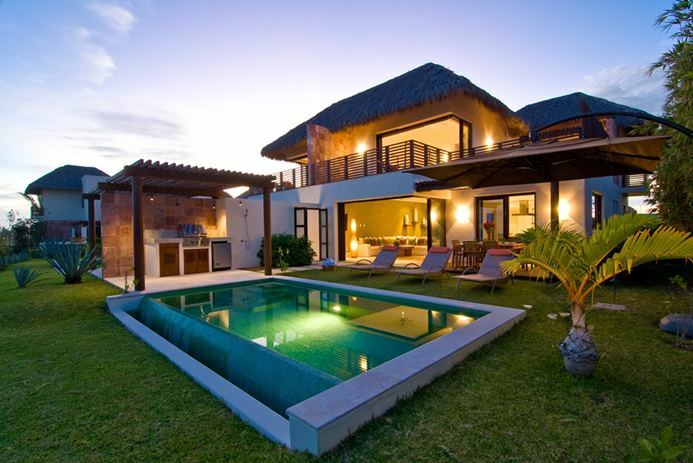 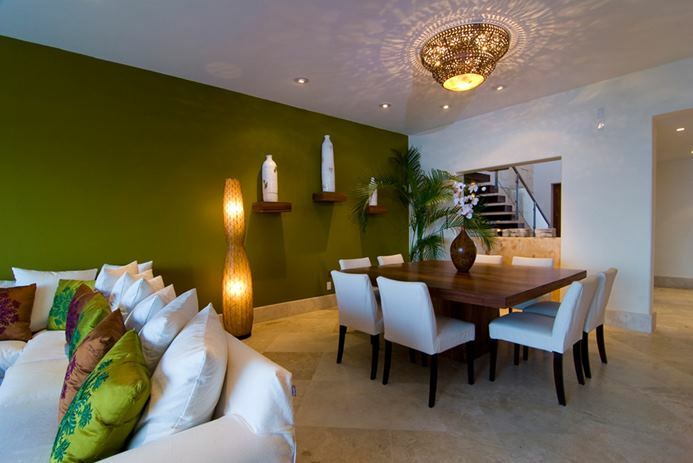 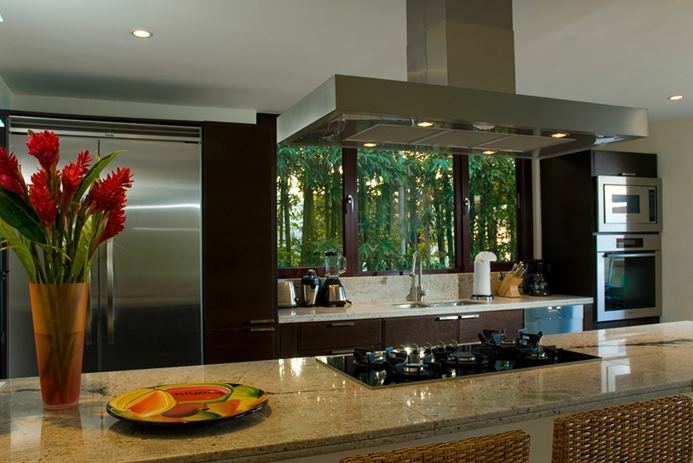 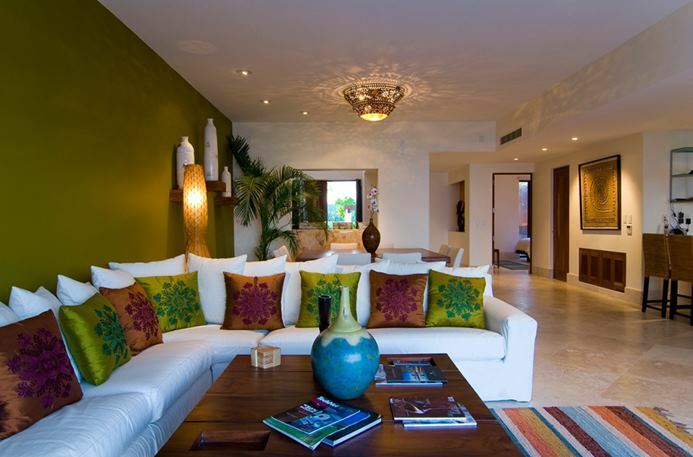 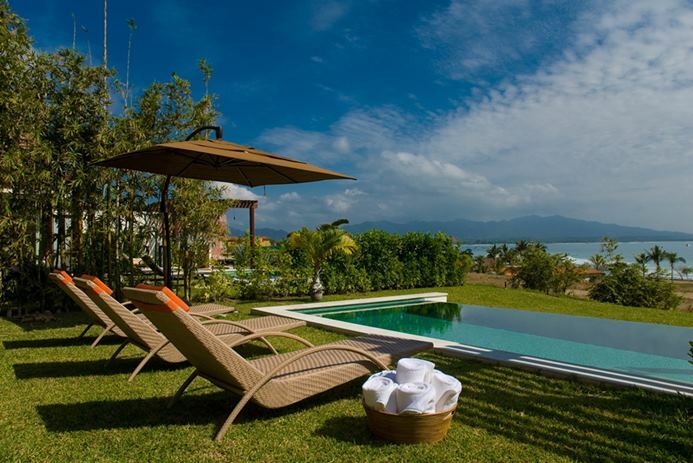 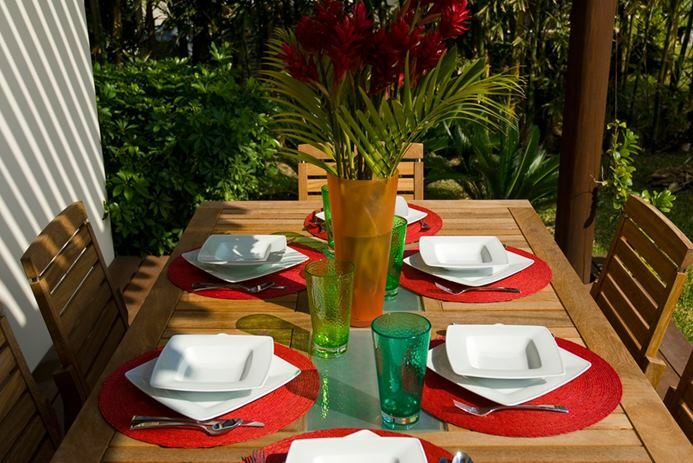 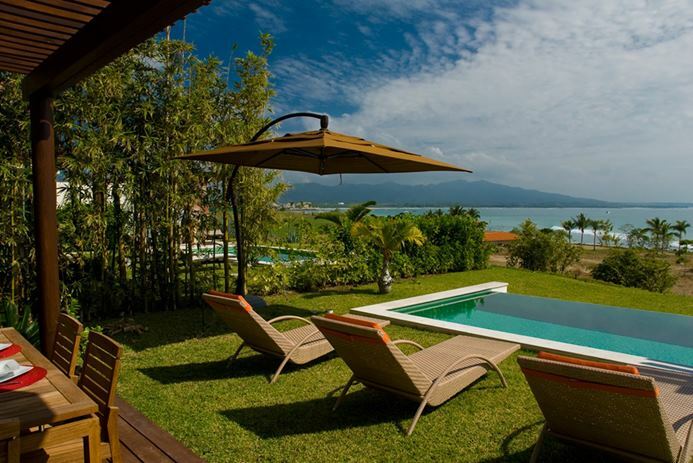 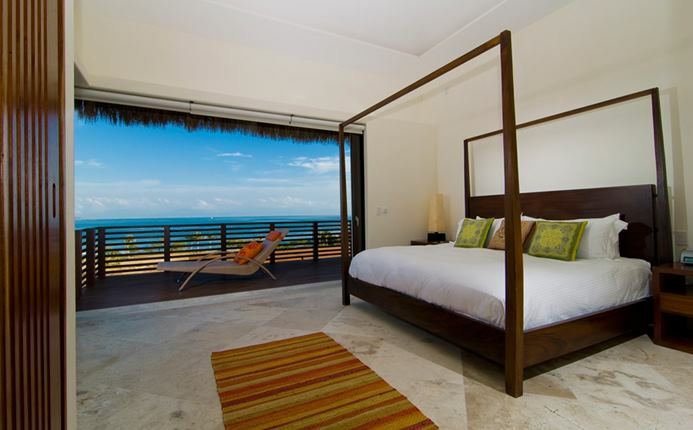 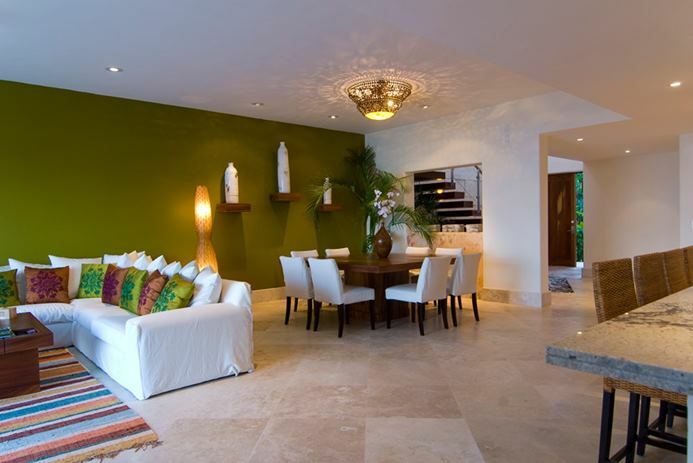 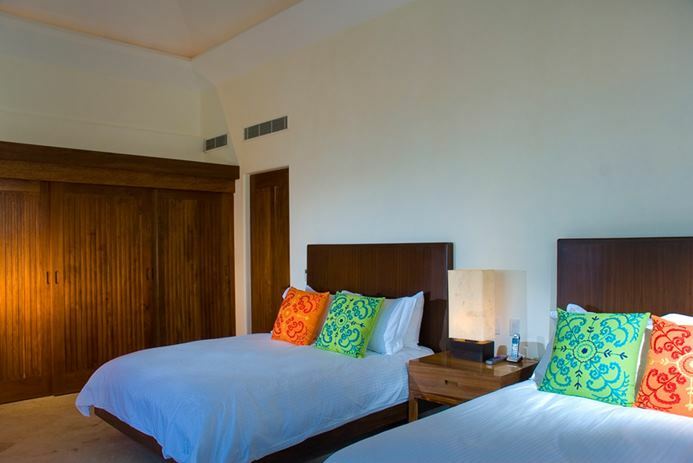 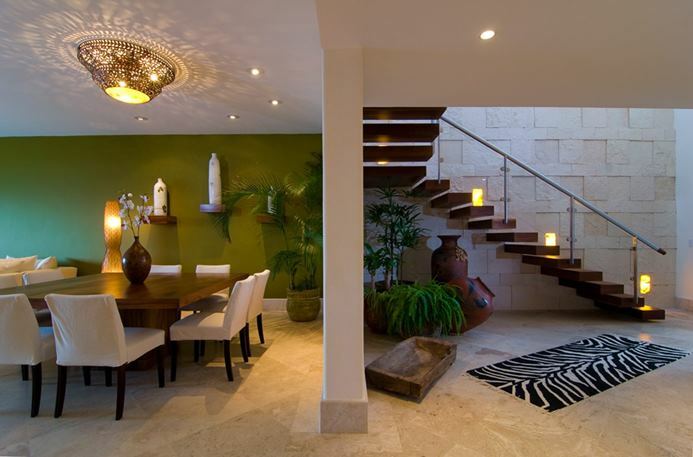 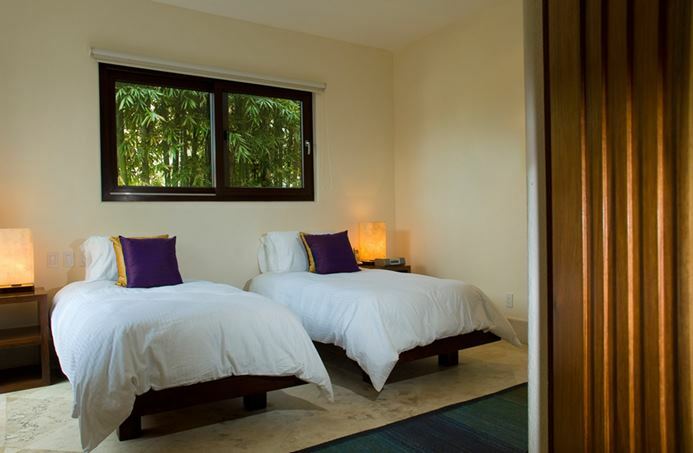 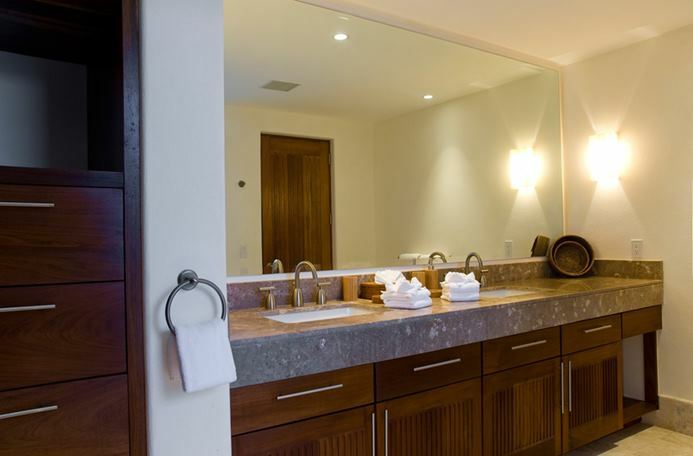 Nestled between 2 golf fairways and fronting Banderas Bay, chic community pool, beach access. 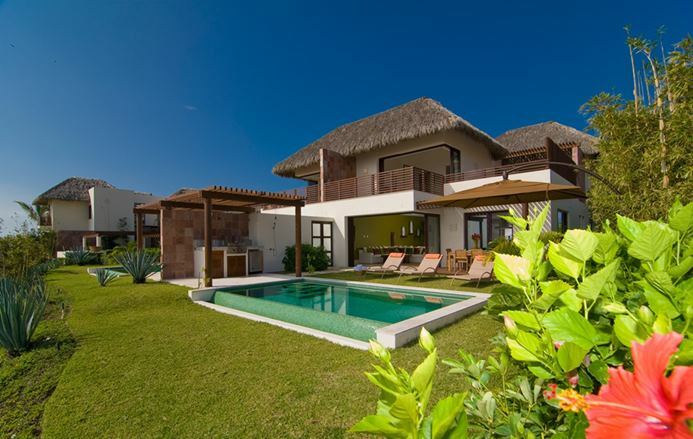 The villa is approx: 4,000 square feet of indoor and outdoor living space, with ocean views from every part of the property except one bedroom, which has a private patio with a waterfall. 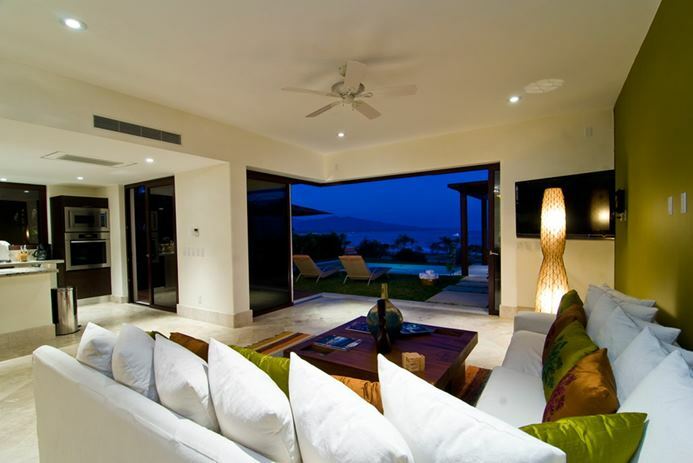 The walls of the upstairs master bedroom close into the wall as do the living room glass sliding doors, making the home a true indoor, outdoor living experience. 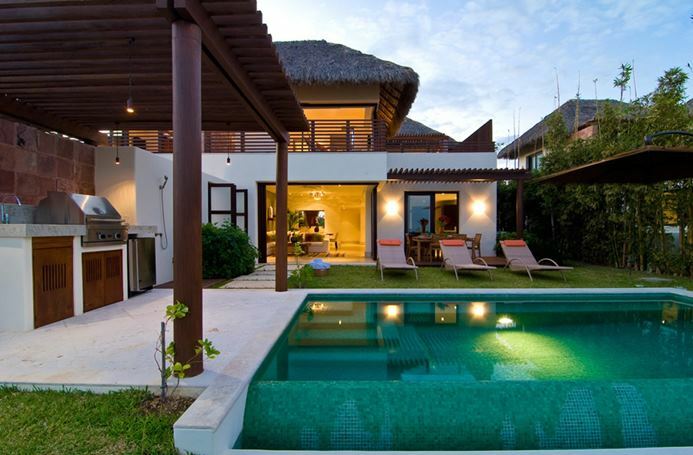 The home sleeps 10 guests.